Located on the banks of the River Thames, beside the picturesque Bell Weir Lock, is The Lock Bar and Kitchen, a stylish modern AA Rossette restaurant complete with its own riverside terrace. Here you’ll find hearty, homestyle cooking, with dishes prepared using the finest and freshest ingredients. Our menu changes regularly to reflect the tastiest seasonal produce available, with daily specials featured on our blackboard. Should open up the courtyard on Bank Holiday weekend when it’s so nice. Can you  please pass on my thanks to two members of your staff that where really helpful and understanding, the female restaurant manger and a man with glasses on the front desk, really helpful and very professional and made us all welcome. Truly exceptional treatment from both. 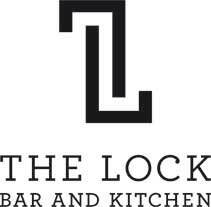 We dined at the lock restaurant on Friday night. The food was very nice we both chose specials for our main course, skate and a risotto both delicious. The waitor forgot a few things and had to ask about the skate fish when we had a question but could be because he was new? Very pleasant lunch. Friendly and helpful staff. No rush to vacate the table. All good. We will return. Good service very polite staff , evening meal tasty and well presented. Breakfast not so enjoyable as when the leftbank is open . Lovely porridge made to order but no honey , golden syrup or brown sugar available , choice seemed a bit limited compared to the buffet breakfast usually served. Service wasn’t great we asked for the dessert menu and never received it and ended up having to ask for the bill. The home made tomato sauce with the cod and chips taste like tinned tomato soup! Remove from the menu plse!! Great atmosphere   Fab foos. Service wasnt upto usual standard as we were left waiting a few times during the service. Every was very please with the floral themed lunch. Thank you, we are looking forward to more events with you. Great afternoon, good atmosphere,  company,  service and food. fantastic themed lunch.....would love to attend others that you may be hosting. 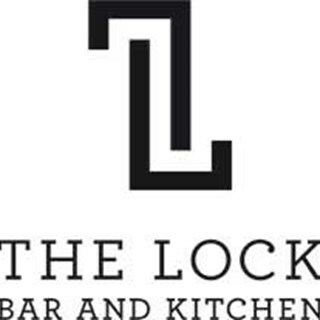 Lovely Mother’s Day lunch at The Lock Bar and Kitchen Restaurant. Fabulous food and great ambience. Really looked after us and didn't make us feel rushed. The food and the restaurant decor was really good. However the smaller details on the table could improve. i.e. champagne glasses can be better, the wine glasses were also the standard size (thickness) and so were the water glasses. If these could be corrected, it would be an AMAZING venue. Lovely place to catch up with family had a great time and will be revisiting in the future. Always have a lovely meal, very reliable with a great menu. Beautifully situated alongside the River Thames and convenient to the motorway providing an enjoyable experience. Food and Service always very consistent.